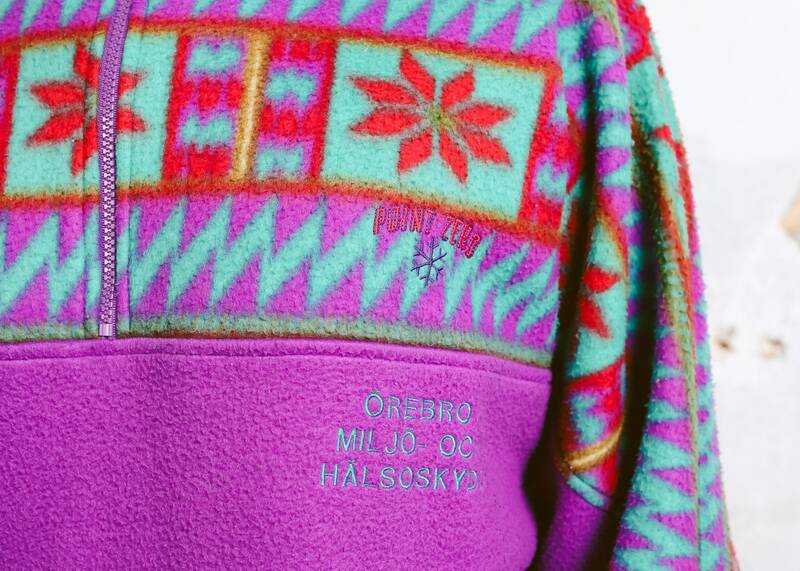 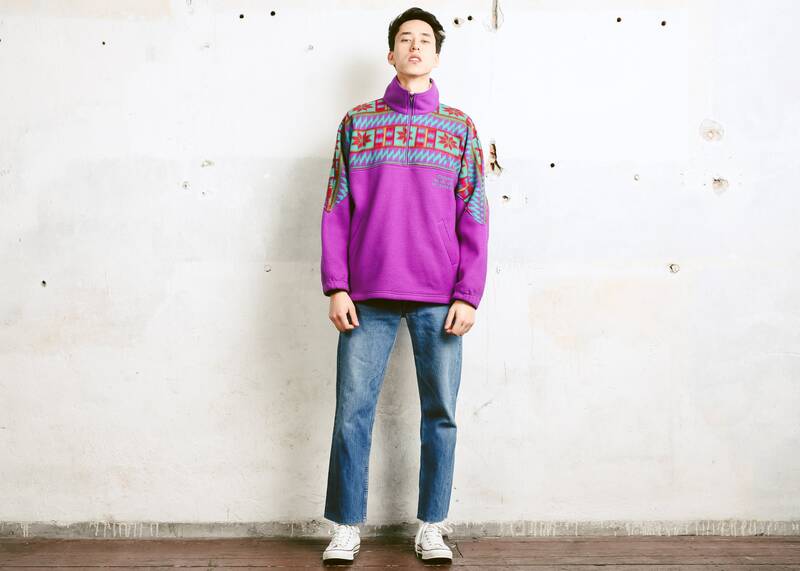 You are looking at a stunning vintage 90s men's fleece sweater in multicolor and purple print. 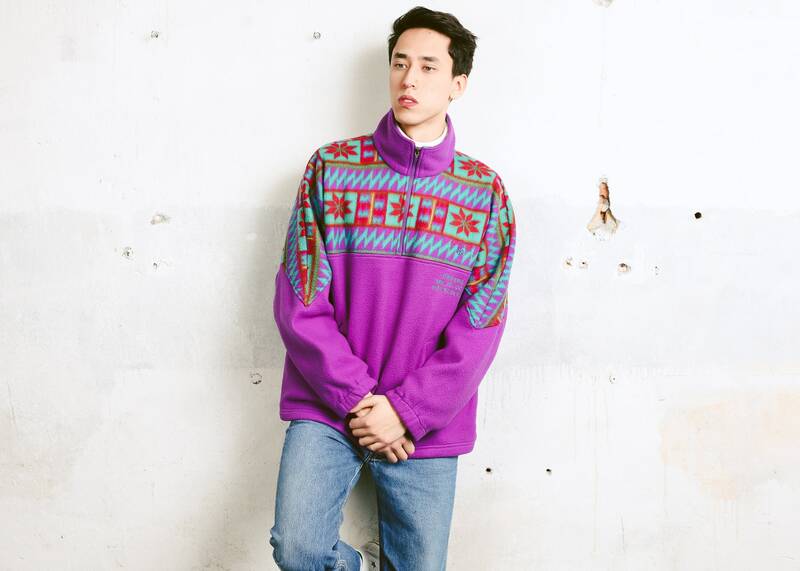 Zip up collar. 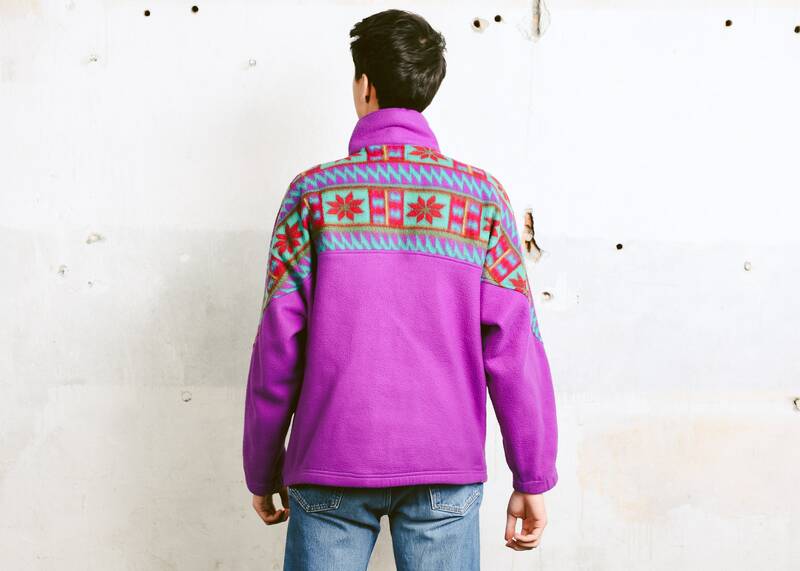 Just the right piece for a relaxed casual vibe.